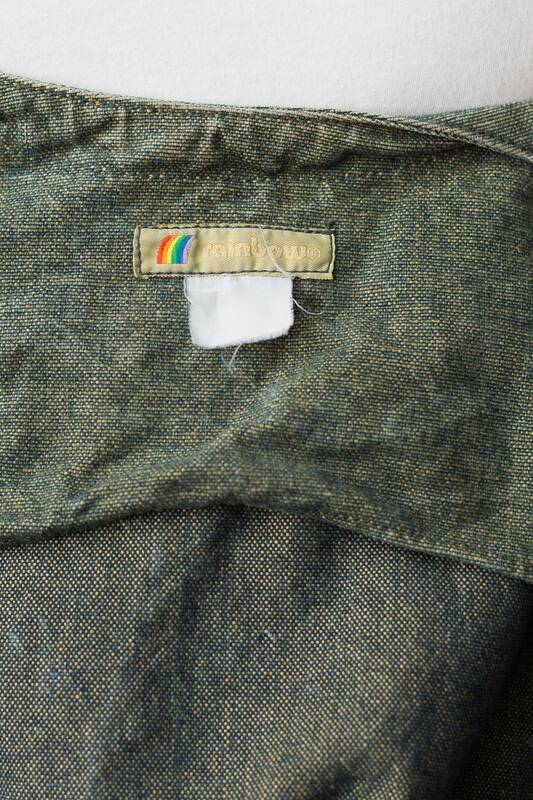 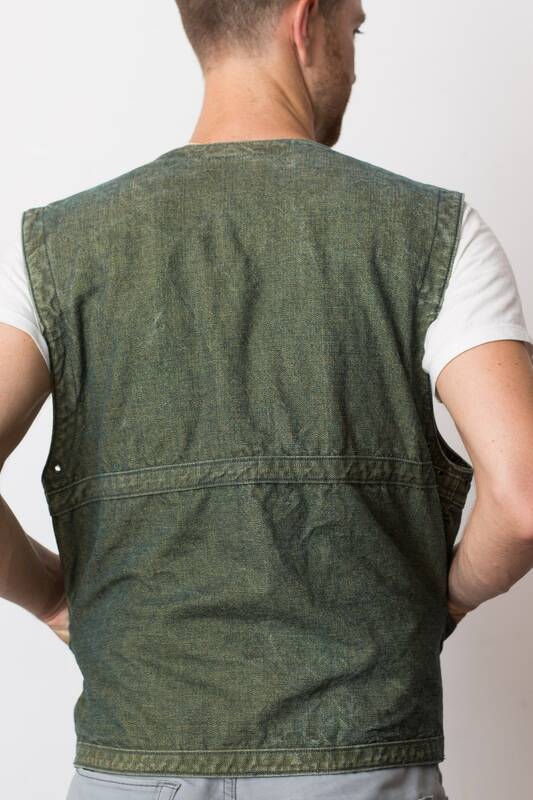 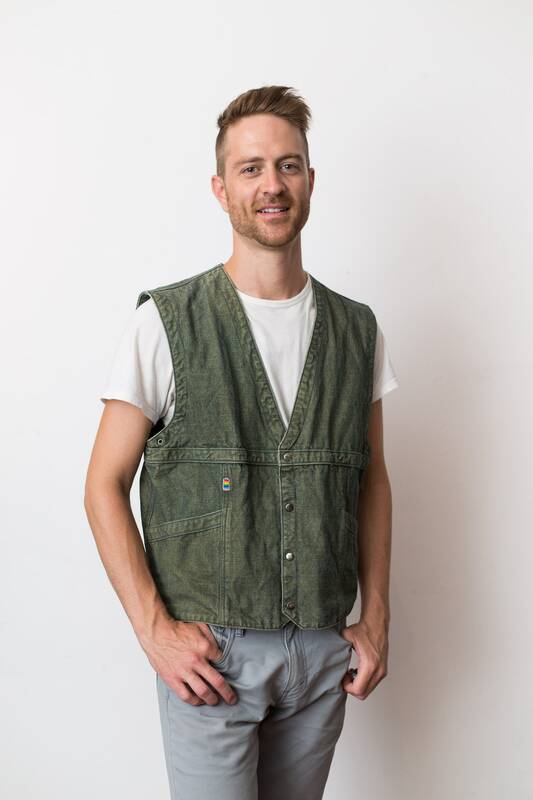 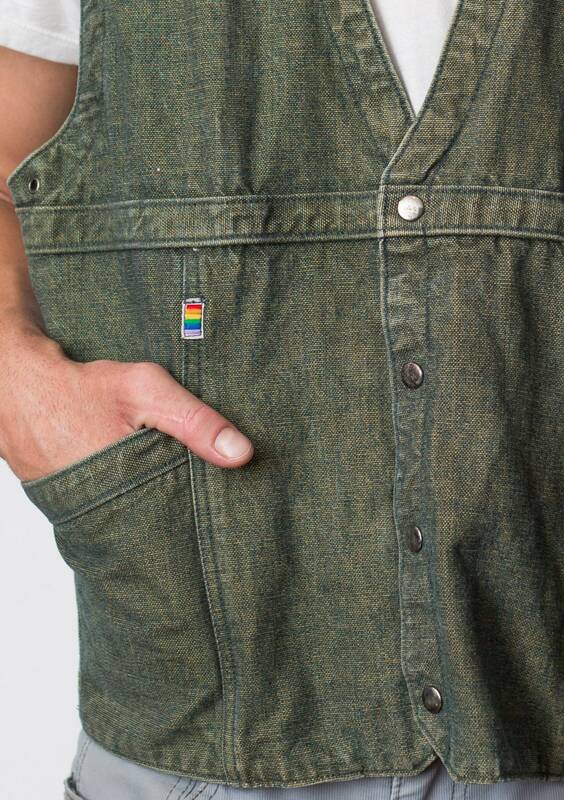 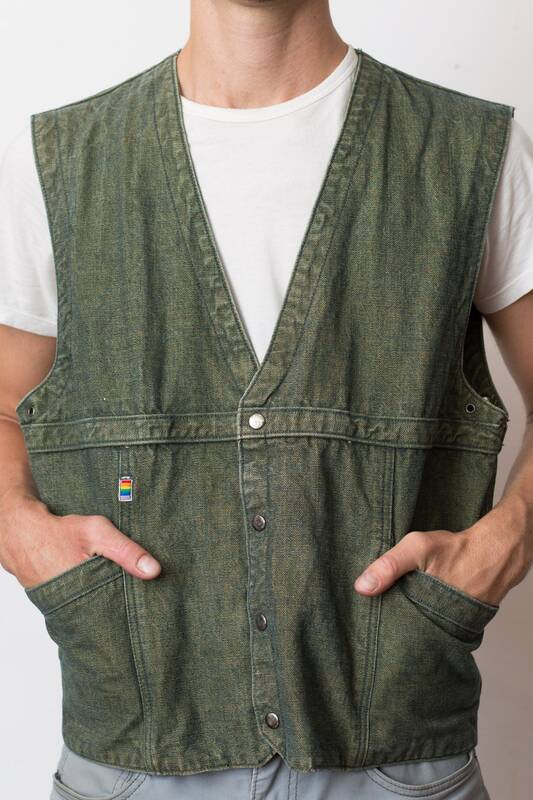 This is an on trend vintage Rainbow brand denim jean vest circa late 80's. 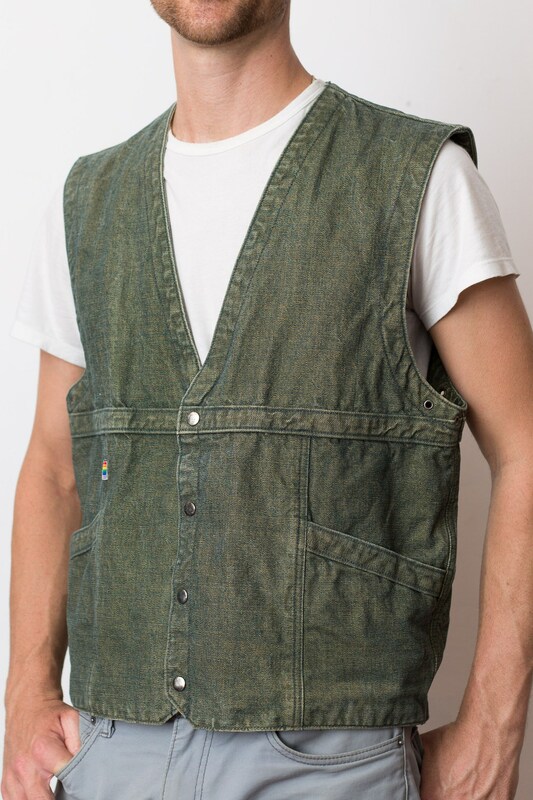 It has 2 from pockets. 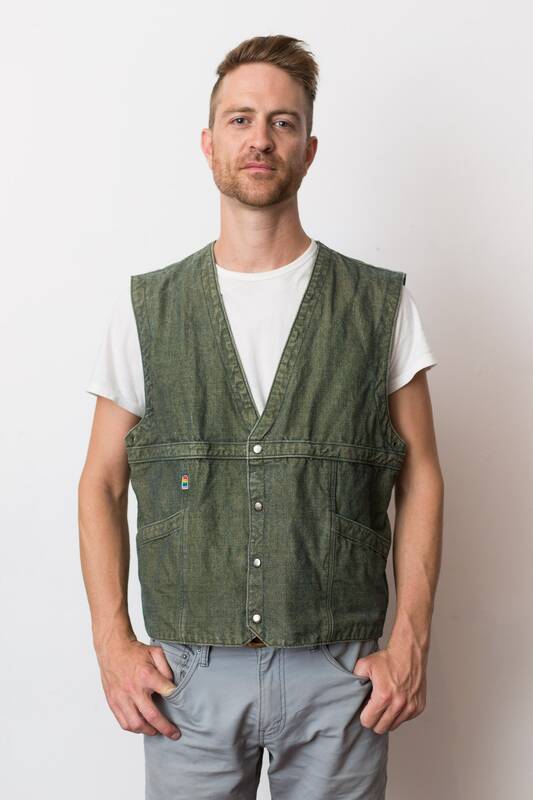 Length from shoulder seam to bottom of sweater: 26"
Chest (armpit to armpit): 44"